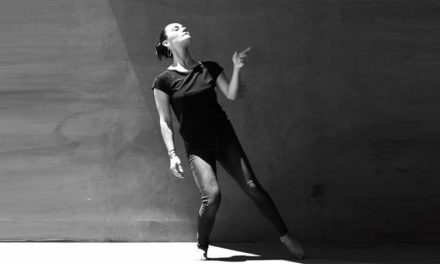 FUNDACIÓN PRISMA DANZA is now accepting submissions for the 8th edition of PRISMA–International Contemporary Dance Festival of Panama (hereunder, PRISMA 2019). Interested companies, dance groups or independent choreographers should send their proposals (video submissions) by December 31st, 2018 (12:00 am Panama Time). ONLY THE FIRST 500 PROPOSALS RECEIVED WILL BE CONSIDERED. We suggest sending proposals at your earliest convenience. PRISMA is an independent project for the promotion and development of contemporary dance in Panama. The festival also includes a strong educational program with free master classes and workshops to create a platform for artists of different nationalities to connect, encouraging bonds between them and strengthening ties amongst our cultures. The proposals can be designed for theatre settings or for public/alternative spaces (school gyms, metro stations, and museums, among others). A video of the entire work to be presented (Vimeo or Youtube / no other formats will be accepted). TRAILERS OR TEASERS WILL NOT BE EVALUATED. -The length of the work must be between 20 and 60 minutes. Pieces shorter or longer will not be accepted; combining pieces to meet the required length is not an option. -Please be aware that, depending on the submissions and time allocations, the possibility exists for 2-3 works to be presented on the same night. -Each company may submit a maximum of two (2) works for evaluation by the Selection Committee. – A Selection Committee will evaluate submissions received, and we will communicate its decisions to all participating parties on the last week of February. 4- Internal transportation (from and to the airport, master class, rehearsals, presentations). * Professional fees payed by the Festival to each company or dance group will be agreed upon beforehand according to the format of the work (solo, duo/trio, group work) and will not exceed $4,500(for groups of 6 or more dancers), and will be handed out as soon as the performance concludes. ONCE SELECTED BY THE FESTIVAL’S COMMITTEE, THE COMPANY/CHOREOGRAPHER MUST CONFIRM ITS PARTICIPATION BY APRIL 30. Each selected company or group is requested to teach at least one master class or workshop (maximum of two) in the Festival’s available spaces, at no extra cost to PRISMA.